Ritchie Bros has announced plans to introduce its IronPlanet online-only equipment auction site to the UAE. 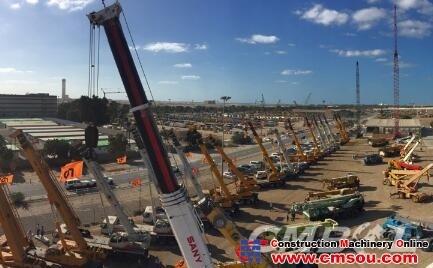 The Canada-headquartered heavy equipment auctioneer said that the move would enable the Emirates’ plant, machinery, and vehicles (PMV) community to access a range of new user-friendly services. Following the IronPlanet’s UAE introduction, local users will be able to sell units without transporting them to a centralised facility. They will also have the option to sell items for a fixed price, negotiate offer, or set a reserve. Buyers will be able to virtually inspect items online, and review detailed inspection reports completed by qualified inspectors. Equipment sold through IronPlanet is backed by the site’s ‘IronClad Assurance’, which guarantees the accuracy of each inspection report. Karl Werner, Ritchie Bros’ international president, commented: “Since IronPlanet launched in the United States 18 years ago, it has become a leader in online auctions and marketplaces, with 1.0 million users globally. “With IronPlanet, we’re now offering a true multi-channel solution for our customers, with options to sell, buy, and list equipment when, where, and how they want – whether onsite or online,” he added. Ritchie Bros announced its intention to acquire IronPlanet for $758.5m in 2016. The deal was finalised earlier this year. The UAE introduction of the online marketplace is expected to complement the auctioneer’s local onsite auctions. Ritchie Bros has been operating in the Middle East’s used-equipment market for more than 20 years, covering the segments of construction, mining, and transportation from its Dubai auction site. This year to date, the firm has sold more than 5,500 items from its Dubai site, and plans to hold its final UAE auction of 2017 from 12-13 December.